The conventional, respectful nature of this handsome production is in sharp relief to the controversy this past week over Royal Opera’s grisly, explicit new staging. 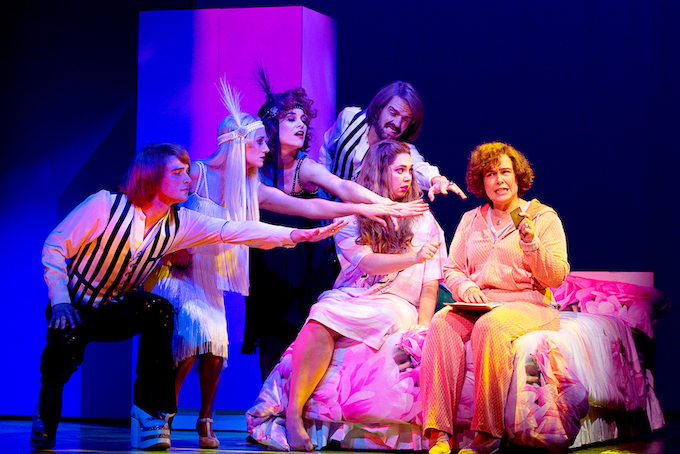 West Australian Opera mounted this work in 2012, recreating the set designs of Henry Bardon and the costume designs of Michael Stennett from Opera Australia’s 1980 production. With the black side tabs removed, the stage of Her Majesty’s looks impressively vast, the multi-level performance space filled with gothic pillars and a grand curved staircase. 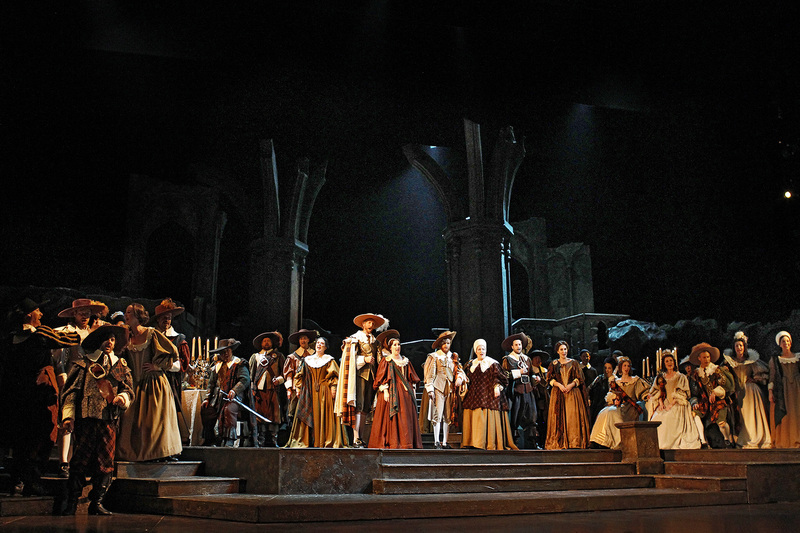 The scenic elements are reconfigured quickly and efficiently for each scene, creating ample visual interest as the opera proceeds. Donn Byrne’s lighting design heightens the gothic mood considerably, using shadow and light, and plenty of haze, to create an eerie atmosphere. When Lucia makes her first entrance, through the thick mist down the steps to the fountain, it is a beautiful sight. Stennett’s costumes are on a grand scale, with period and ornamental detail fully realised. The dark green and red Lammermoor tartan is seen on the Ashton men and women, with a different tartan conspicuous on members of Arturo’s family at the wedding. Lucia wears sumptuous gowns, but the men are equally well dressed, with Lucia’s love Edgardo looking noble in decorative black leather and groom Arturo looking fetching fey in powder blue suit and feathered hat. Maestro Richard Mills, artistic director of Victorian Opera, leads Orchestra Victoria in a fine performance of Donizetti’s richly melodious score. At the top of the night, Mills silences and focuses the audience with the softest brass and timpani playing, the music ominously suggesting the distant hunt for Lammermoor intruder Edgardo. The passage of sound in Her Majesty’s allows a pleasant balance between instrumental and vocal music, although there is a slightly dry, raw tendency to sound in the venue rather than the more resonant sound of an opera house or concert hall. While the opening scene of the Lammermoor men hunting for the intruder is somewhat stiff and static, the ensemble work improves with the full complement of men and women at the wedding. Preparation of chorus singing is first rate, and their combined work is as strong and as valuable as any of the soloists. 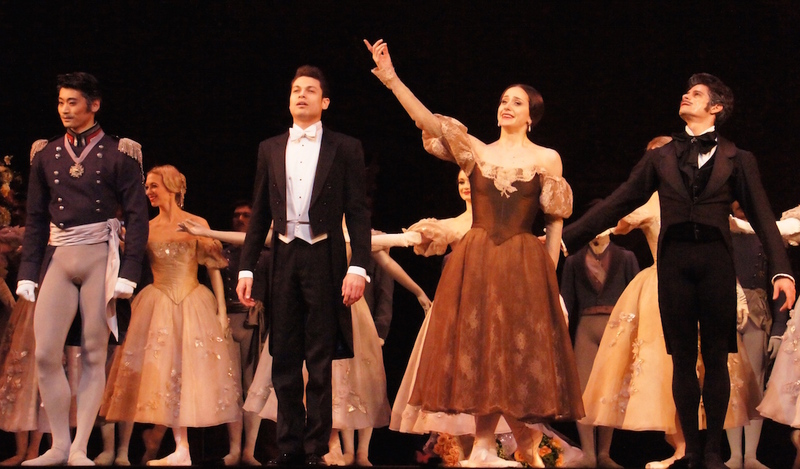 The festive dancing at the start of act three creates a contrast to the chilling news delivered by Raimondo. Director Cameron Menzies distinguishes the lead characters broadly and distinctly while also adding nuances to the psychological drama. Pratt is a talented actress, and under Menzies’ direction she is able to clearly convey Lucia’s unravelling mind under the duress of the forged letter from her true love and her arranged marriage to a neighboring landowner. In the famous mad scene, Pratt shows Lucia to be lost in her own world, dancing giddily, thinking pensively, sighting and hearing the ghost as she sings a call and answer duet with it. 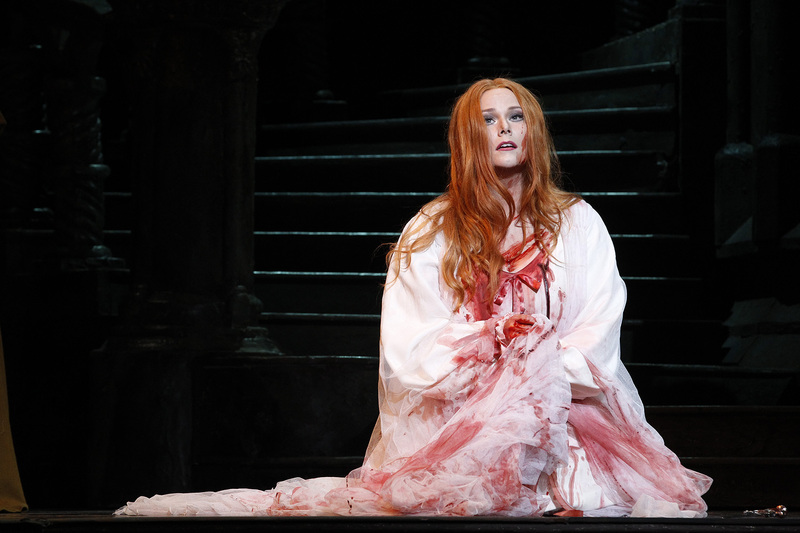 Menzies has Pratt make ghoulish use of the bloodied wedding veil, with Lucia draping it back and forth over her head as she sings. In her third Melbourne appearance in three years, Pratt again demonstrates the remarkable strength of her altissimi notes. She begins the evening wisely holding some power in reserve as she charms the audience with the carefree Lucia’s lovely singing by the fountain. A hallmark of Menzies’ direction is the thoughtful use of musical interludes, and Pratt benefits from this, moving naturally to new stage positions and arrangements each time. Pratt builds throughout the night, dazzling with the full complement of interpolated high notes. Her mad scene is utterly spellbinding; the stage is full of wedding guests but every eye is on Pratt. Her coloratura includes some traditional phrases as well as some that are special to her performance. Variety of dynamics, range and style are carefully planned allowing for a seemingly effortless performance that fully lives up to the high expectations. 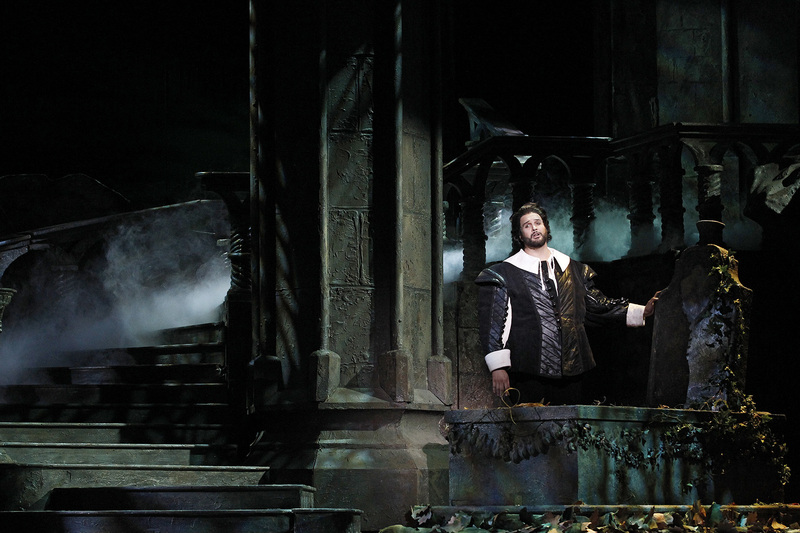 Appearing years younger with a lush wig, José Carbó presents the manipulative determination of Enrico without melodramatic villainous flourishes. 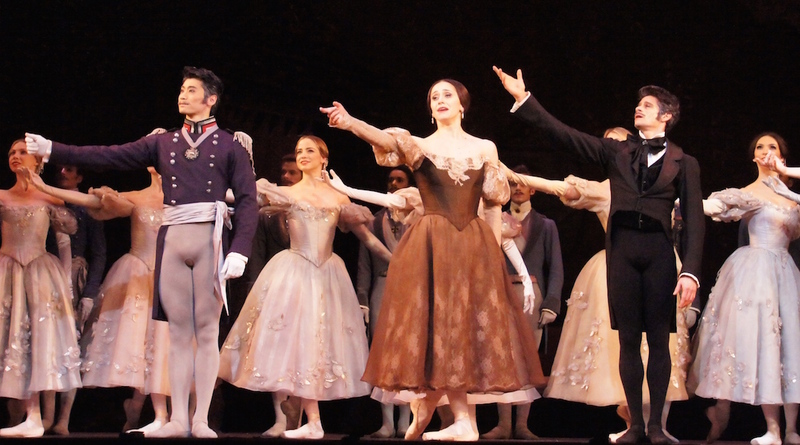 Menzies gives Enrico a sympathetic edge by having him let down his hyper-masculine guard by begging on his knees to Lucia for her cooperation in the wedding. Carbo sinks under pitch slightly in early singing, creating a robust and heroic sound overall. Commanding bass Jud Arthur brings authority and gravitas to chaplain Raimondo, singing with reliable precision and focus. 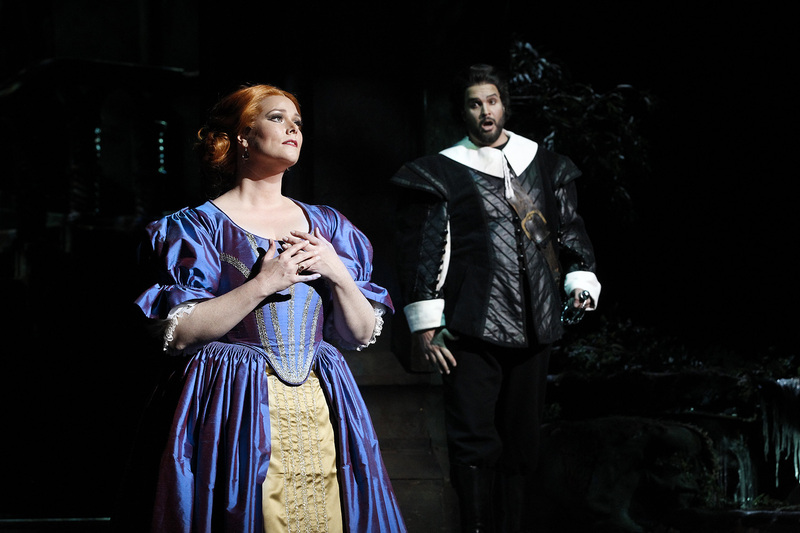 Michael Lapiña makes a strong impression as huntsman Normanno, making good use of the resounding quality of his pure tenor voice and exhibiting lively facial expression. In a highly auspicious professional debut, Shakira Tsindos lends strong support as Lucia’s maid and companion Alisa, more than holding her own as she sings with Pratt in act one. 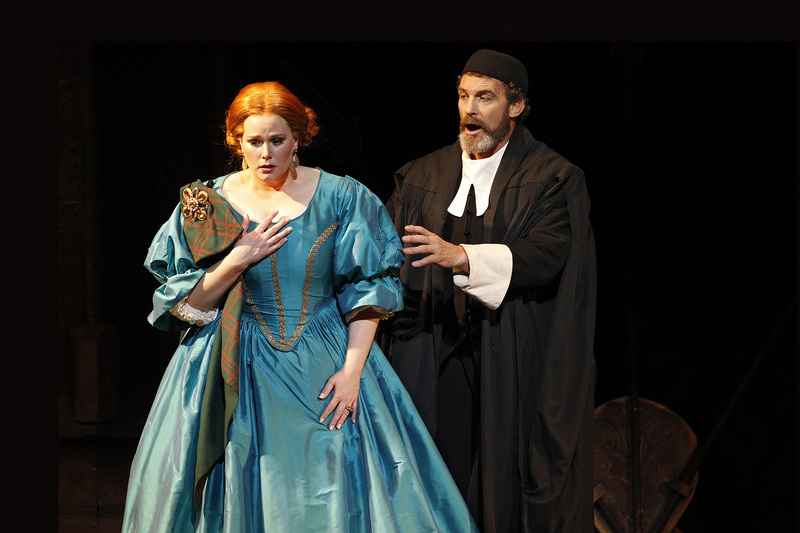 Michael Petruccelli sings with a sweet, high tone in the brief appearance of ill-fated groom Arturo. While Victorian Opera are more closely associated with innovation and edgy performance styles, this fully fledged staging shows the depth of variety and talent in the company. Lucia di Lammermoor is a welcome event in Melbourne’s opera, and opera lovers will need little encouragement to make sure that they do not miss Pratt’s stunning performance in her signature role. 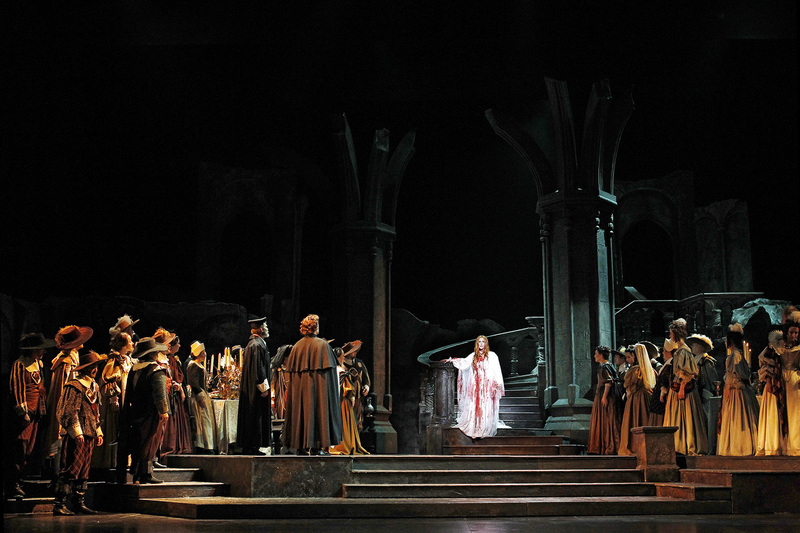 The Lucia di Lammermoor program can be read online.